There are a number of places in Calvi, Algajola &Ile-Rousse where you are able to participate in ‘on the water’ activities. Waterskiing, motorboats of all sizes, parascending and jet ski hire, instructors are available for windsurfing, sailing and kite surfing. This regular service allows you to explore the coastline to the east of Calvi, stopping at all of the beaches en route. The line built in the 1880’s and 1890’s hugging the coast is undoubtedly one of the worlds most scenic railways. The journey takes approx 50 minutes, and depending on the time of year travelling, there are between 5 and 10 return journeys a day. 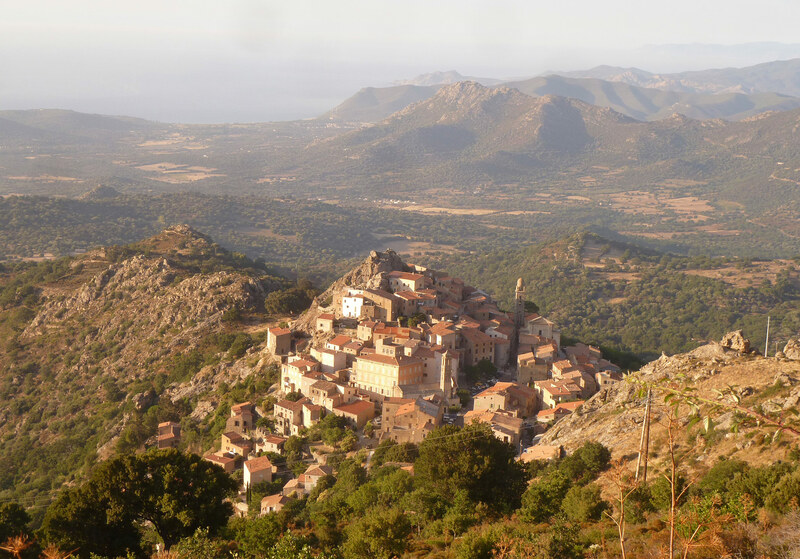 are perched high above the sea, the fortress villages of the Haute-Balagne offer dramatic mountains landscapes and spectacular views over the coastline. Stop en route to sample the local produce or visit one of the workshops along the craft trail "Strada di l'Artigiani". is a spectacular pine forest with hidden rock pools and stunning views over Calvi bay with walks of varying difficulties.